Ideal fleet management systems enable the transport industry to minimize or eliminate risk linked to automobile investment and increase driver safety. Additionally, it improves efficiency, productivity and generally reduces the costs of operation. With the current technology, fleet management has been made a little bit easier by the introduction of fleet management systems such as the bus and motor coach TV system. Apps designed for fleet managers and drivers are meant to assist them in accomplishing several tasks by merely using their Android phones or tablets. Besides, a majority of these apps can assess the conditions of the vehicle and give an accurate report instantly. In turn, this enables managers to service the vehicles on a timely basis before they break down. Fleet management apps collect, analyze and store data or information from the field and can function both in offline and online modes. Furthermore, data collected is stored in the cloud and can never be lost. 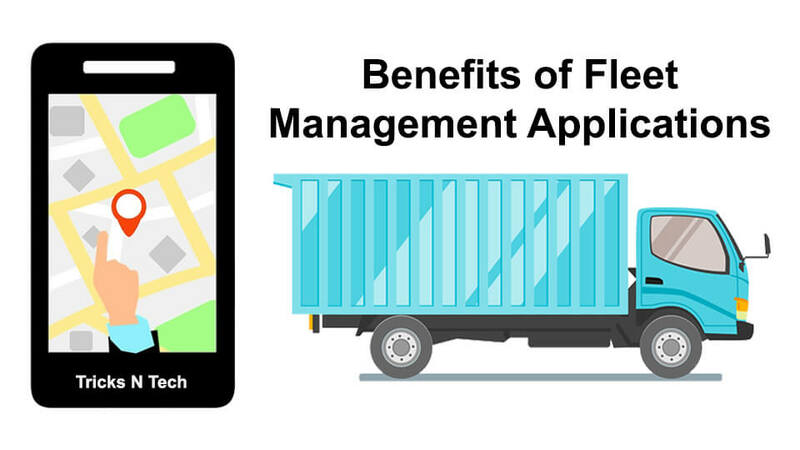 Here are some of the significant benefits of fleet management apps. With the app installed on the Android phones or tablets, fleet drivers and managers can enter data that will help them monitor their work. The data may include the distance they have driven, the number of trips made and the time they began a journey. The details are then stored in the cloud and can be downloaded if required. This eliminates the need to sort through stacks of paper belonging to your fleet. Entering data manually increases the risk of human error and inaccurate information, which can result in massive losses. However, this risk can be reduced by embracing fleet management apps, which have a central cloud server that allows input of data only once. The apps will assist you in easily tracing previous transactions and accomplished tasks, which will determine whether your fleet is making a profit or not. Fleet management apps will enable you to monitor the actual location of your vehicle with the help of telematics. You will be able to know the exact time the automobile reaches its destination. In the case of any changes in the vehicle’s diagnostics, the app will notify you that there is a fault in the vehicle and that it needs to be fixed immediately. These apps will give you the up-to-date status of your fleet since drivers will be able to update the current conditions of the vehicle, including any problems the vehicle is experiencing. You will also be able to advise them on what to do. Moreover, you will be able to monitor your drivers’ driving behaviors using the app, which will promote safe driving. Fleet management apps will assist fleet managers in planning convenient routes for their drivers to follow. Additionally, they will help drivers to locate nearby places where they can get fuel, check the vehicle and also eat before they embark on driving. This saves time and reduces fuel cost. Planned routes help drivers to focus entirely on the road. Accurate record keeping of data is very critical for accountability purposes. However, it can be challenging for drivers to liaise with the fleet managers while they are on the road. As such, through fleet management apps, drivers can communicate with the owners on a real-time basis and send any data that is required. Additionally, the apps can keep track of the vehicle’s fuel consumption alongside other variables, which will help fleet managers when calculating their profit with expenses incurred. In most cases, fleet apps are always cloud-based. This means that all data logs are saved in the cloud right from dispatch to delivery and invoicing. On the other hand, fleet owners and drivers alike can access the data from any location at any given time. In addition to making the process flow smoothly, fleet management apps also reduce the chances of data redundancy. These apps cut down on time spent doing reports. Currently, fleet management apps provide an option to connect with accounting software. Through this, expense and mileage data can be swiftly uploaded, allowing for easy and efficient reimbursement of your workforce. Additionally, you can upload other costs such as parking lot charges. For your fleet business to stay alive, customers need the assurance that their cargo will not be lost. With that being said, fleet management apps with tracking systems will help your customers keep track of where their products are at any given time. Additionally, clients will be able to anticipate when their cargo will arrive. When properly optimized, fleet management apps can reduce the drivers’ work by ensuring they spend more of their time behind the wheel. Also, it will improve road safety because drivers will be getting sufficient time to rest and prep for their trips in advance.